A RUP LIFE: Scooby-Doo! 13 Spooky Tales Run for Your ‘Rife! Available 9/10!! Scooby-Doo! 13 Spooky Tales Run for Your ‘Rife! Available 9/10!! Thank you to Warner Bros. Home Entertainment, Inc. for providing a copy for review. This post contains affiliate links. Scooby-Doo! 13 Spooky Tales Run for Your ‘Rife! will be released on 9/10/13! If your kids are like mine they love Scooby-Doo! They love watching the antics of Scooby and Shaggy (they are my personal favorites too!!! Scooby-Doo! 13 Spooky Tales Run for Your ‘Rife! is available at most local retailers and online at Amazon. It’s non-stop chills and thrills on Scooby-Doo! 13 Spooky Tales Run For Your ‘Rife! Viewers will embark on 13 exciting voyages with Scooby-Doo, Shaggy, Fred, Daphne and Velma as they uncover mysteries through epic adventures. 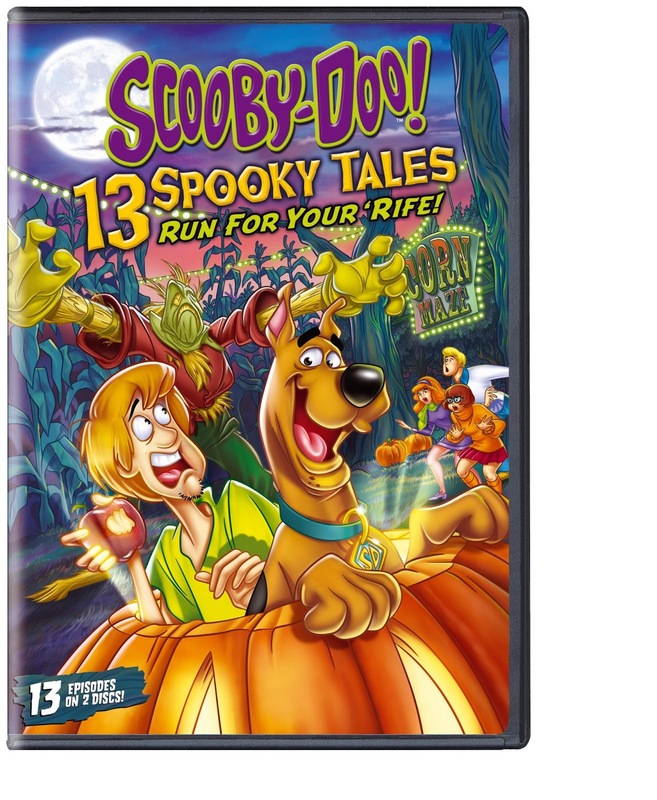 This collection is comprised of fan favorite Scooby-Doo episodes from classic Scooby-Doo shows including Scooby-Doo Where are You!, Scooby-Doo/Dynomutt Hour, The Scooby & Scrappy Doo Puppy Hour and others. Scooby-Doo! 13 Spooky Tales Run For Your ‘Rife! will also include an all-new original episode titled Scooby-Doo! and the Spooky Scarecrow. It’s the perfect collection to get Scooby-Doo fans of all ages into the spirit of Halloween. · Who’s Afraid of the Big, Bad Werewolf?